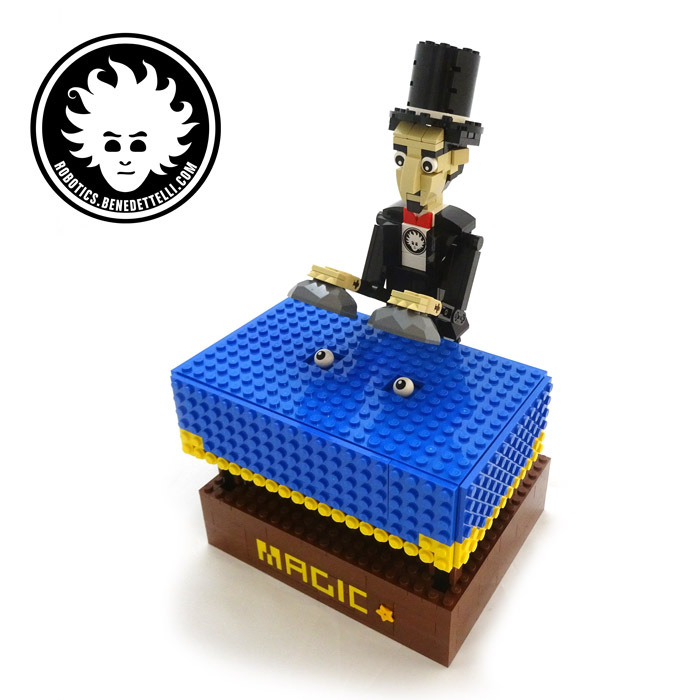 My LEGO Rubik’s cube solver (result of the LEGO Rubik Utopia project) started travelling on 22 September 2007, to be shown at the Natural History National Museum of Luxembourg, at the Cirque des Sciences. In the photo you can see me with the Convict director Claude Baumann and some students. 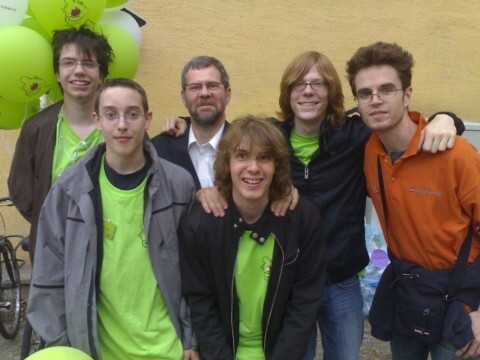 From left to right: Laurent, Eric, Mr Baumann, Georges, Paul Nicolas and me (short-haired, with orange T-shirt). Other photos of the event are here. 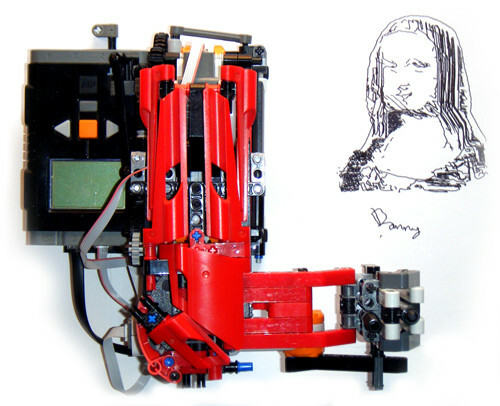 On 25-28 October 2007 I showed my robot at The Festival of Creativity. The event was held inside the Fortezza da Basso, Firenze (Tuscany, Italy). 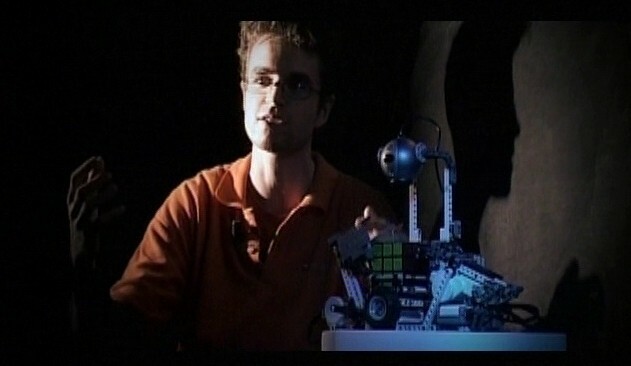 The really cool thing was that I was asked to open the whole Festival (here’s a video), challenging the president of region Tuscany Claudio Martini to solve the Rubik’s cube faster than the LRU. 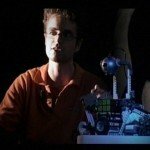 The robot won, of course! The event was reported also by RAI3 and by DIRE giovani press agency. While there at the Festival in Florence, I was interviewed by MTV. The TV special “MTV creation in progress” was broadcast on 24th November 2007. I was invited to show LRU on RAI1, the Italian national first channel. 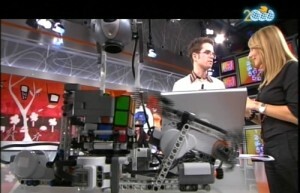 I was in the opening of the program “Uno Mattina” the 7 November 2007, a program that is broadcast very early in the morning (check the clock in the screenshots). I remember that I had to wake up at 4 AM. 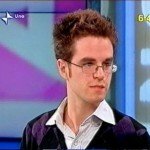 Without a single day of rest, on 8th November 2007 I was the main guest in the program “1×1”, a live show on SAT2000 (now TV2000). We were talking about the application of Mathematics, often detested by most students; I was there to show what can be done applying Math! The MC Arianna Ciampoli and the people in the studio were literally astonished by the performance. I met Arianna in another occasion, when I showed the Q-learning snail. 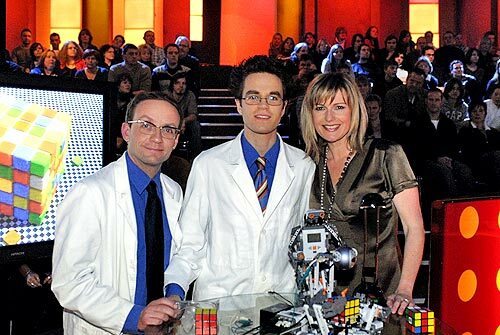 LEGO Company asked me to show the LEGO Rubik’s cube solver in the German program “Clever!” broadcast on 6th of February 2008 on SAT.1, with the conductors Wigald Boning and Barbara Eligmann. Check out the other photos of the show. I didn’t think they had showgirls in Germany. However, I was in good company! 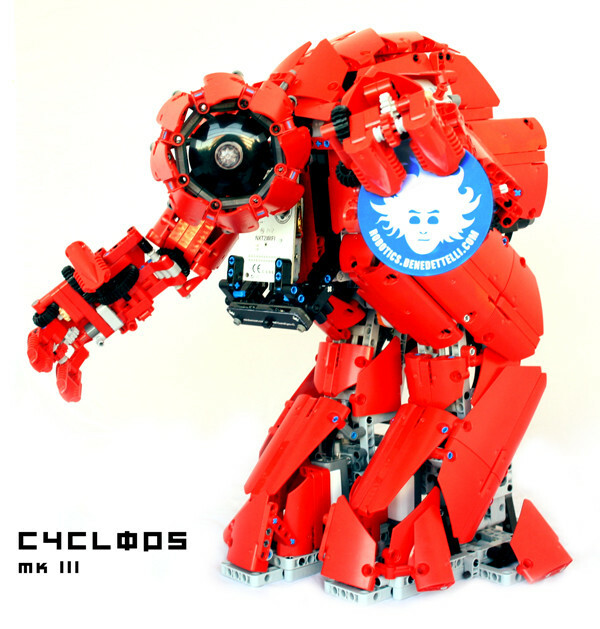 Here’s an example of how LEGO MINDSTORMS can kick you out of the lab. 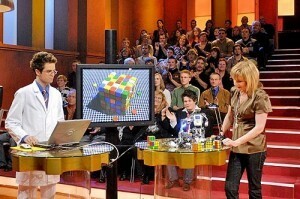 My LEGO Rubik’s cube solver robot was featured in the Italian show SuperQuark on 10 July 2008. I appear in the last shots near the piano, and then together with physicist PACO LANCIANO and with journalist PIERO ANGELA. In the “Persone” (People) Italian TV programme on RAI3, broadcast on 3rd May 2009, I show the Rubik’s cube solver and other robots.